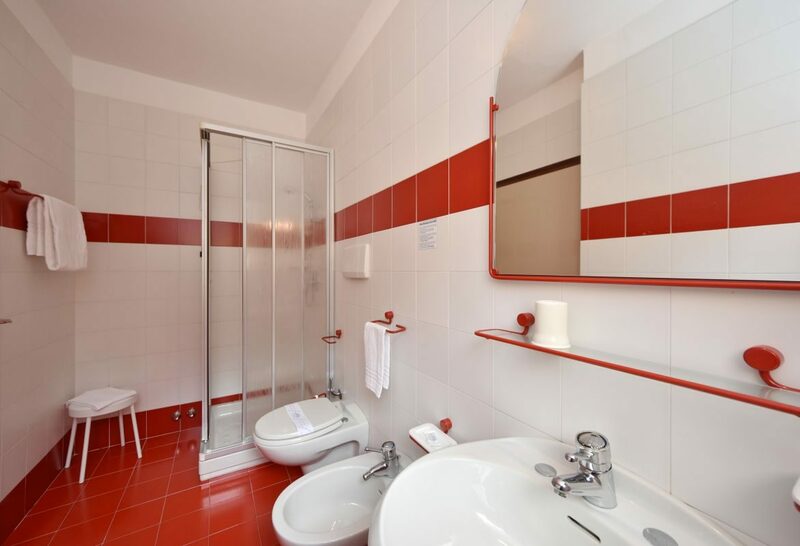 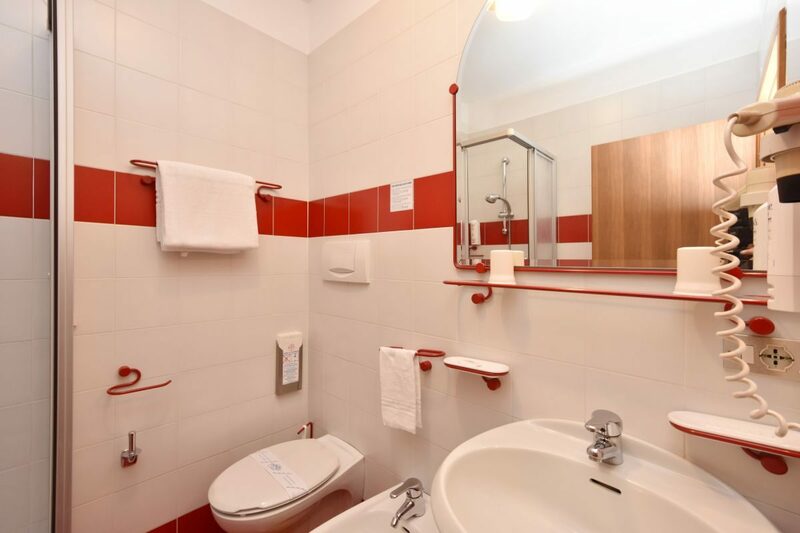 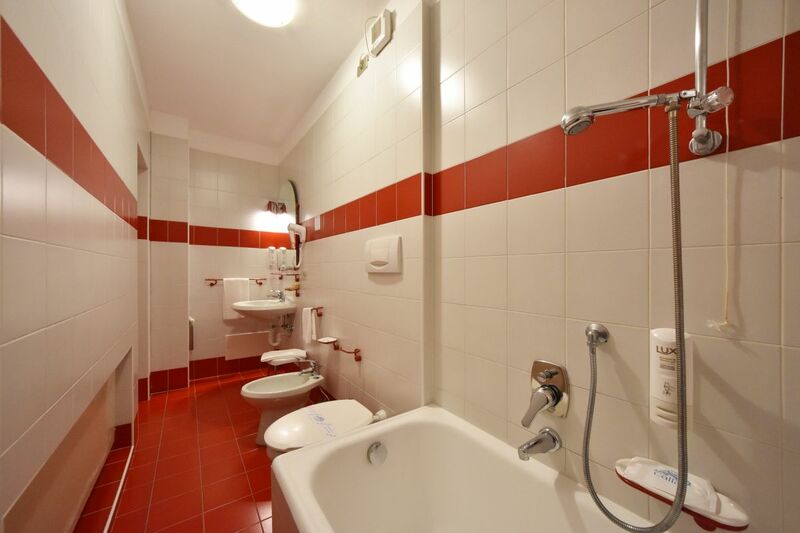 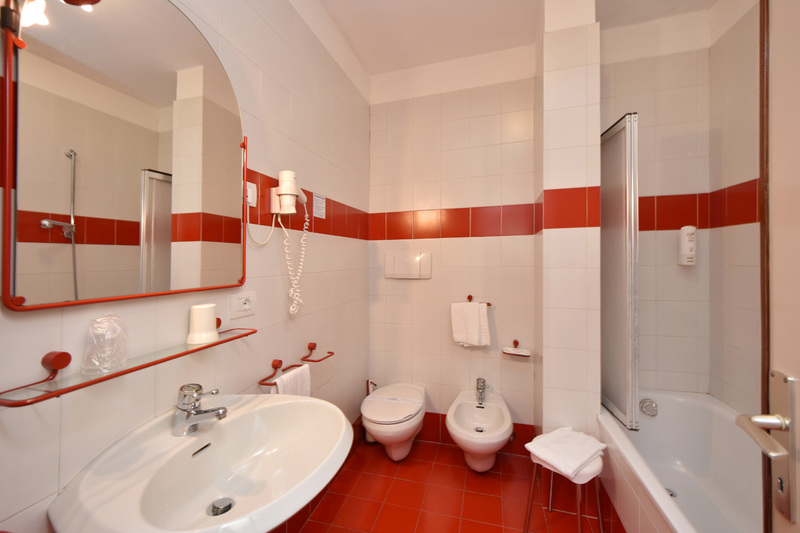 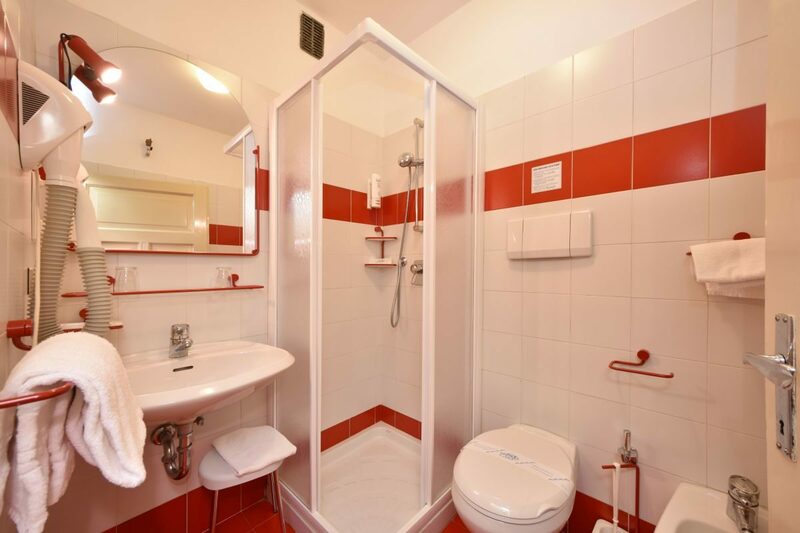 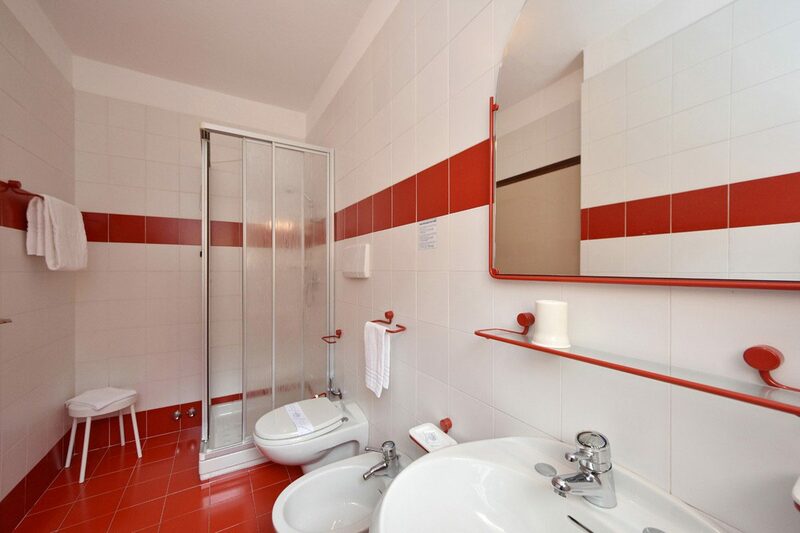 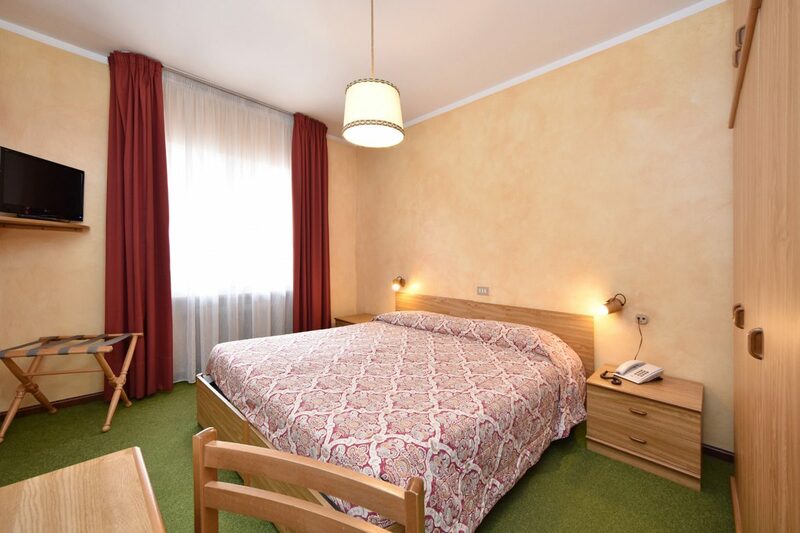 At the Bellaria Hotel in Predazzo we know just how to meet all of your needs. 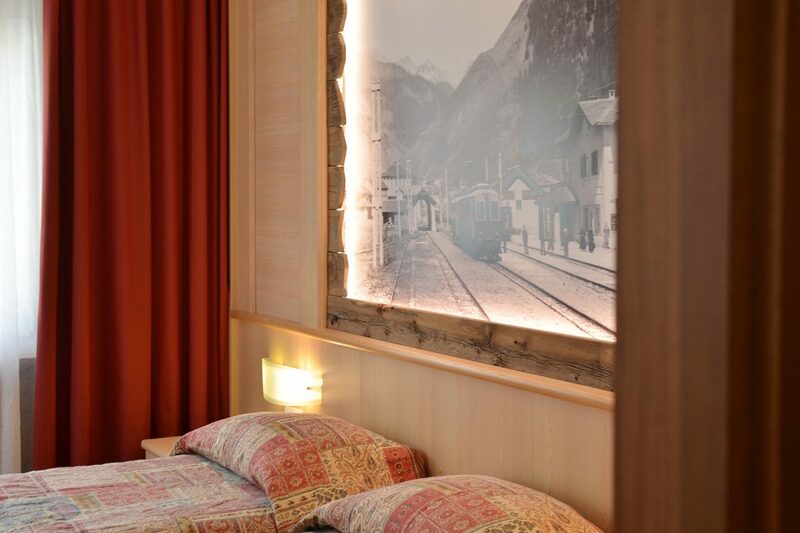 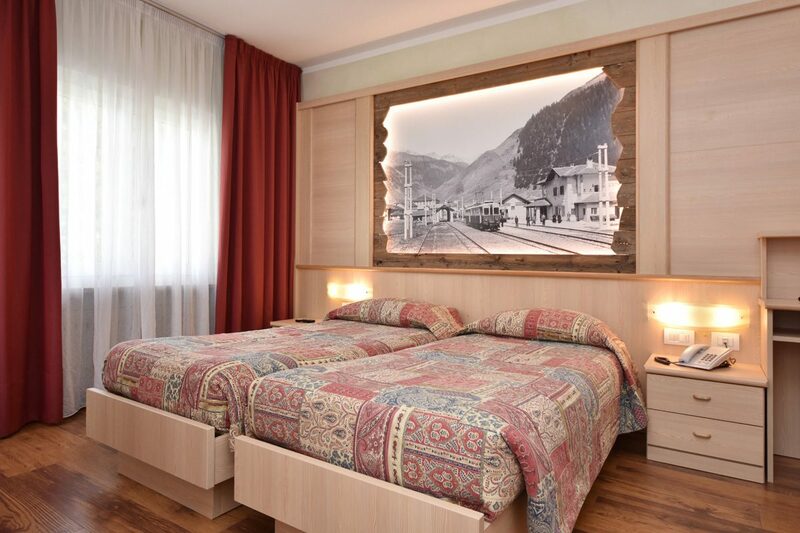 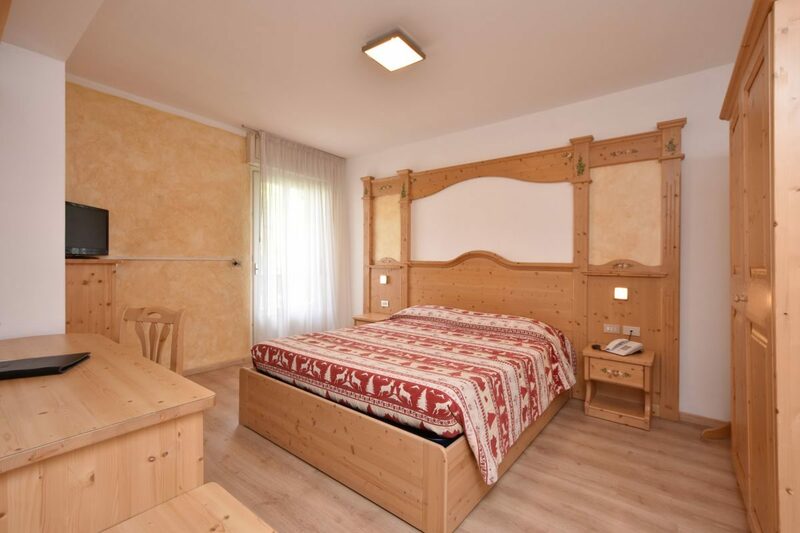 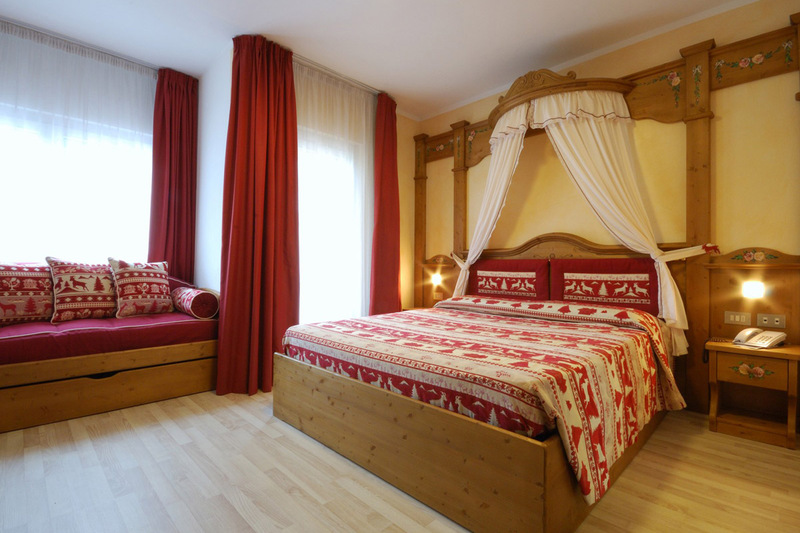 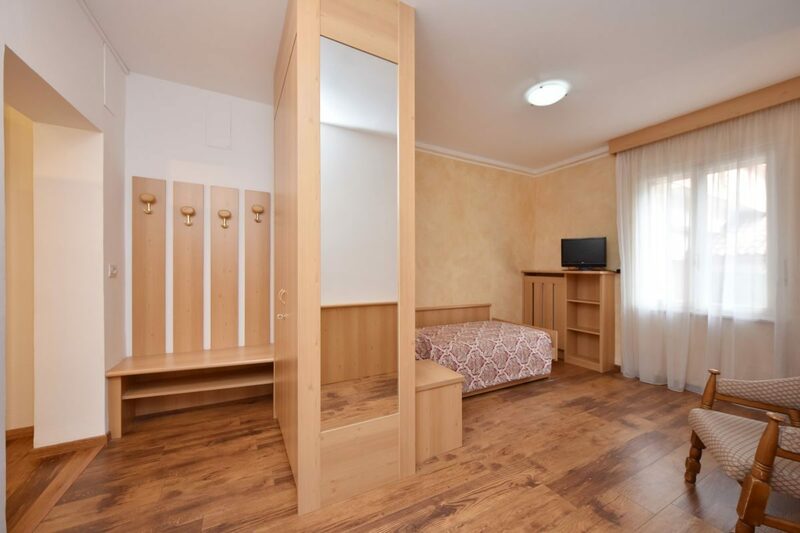 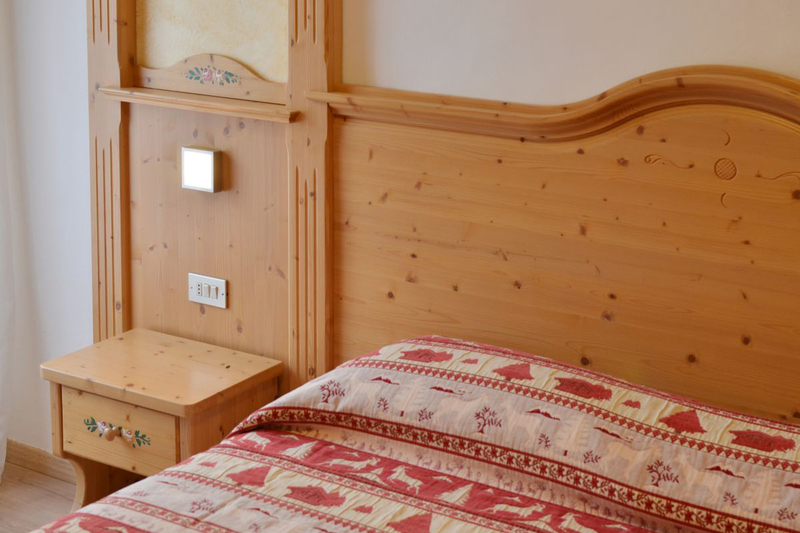 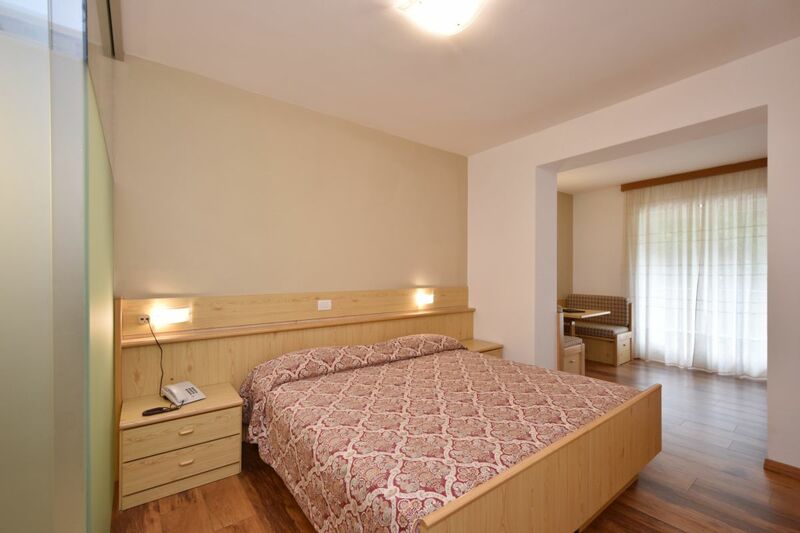 Relax in one of our various types of rooms, each suited to different needs and designed to make you feel at home during your holiday in Val di Fiemme. 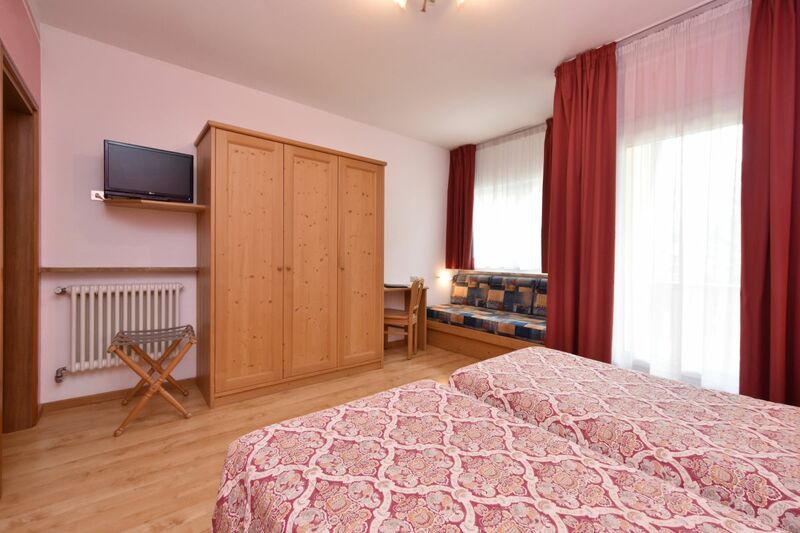 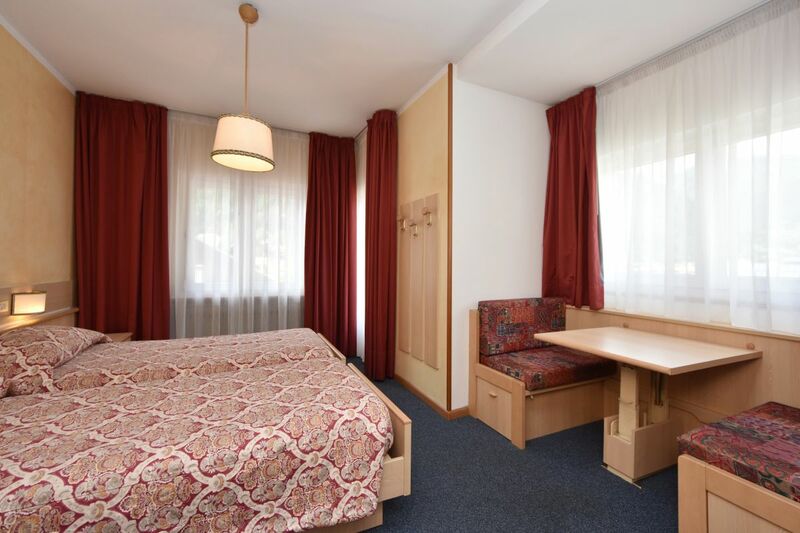 All of our rooms have wood finishings and are equipped with LCD TV, safe, hairdryer, and telephone. 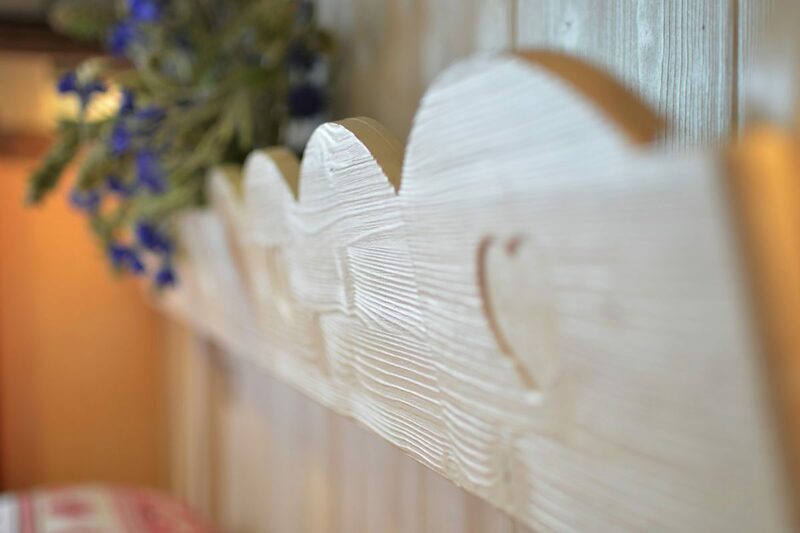 The Junior Suite includes a SPA KIT with a soft bathrobe and comfortable slippers, and a handy kettle with a selection of teas and infusions. 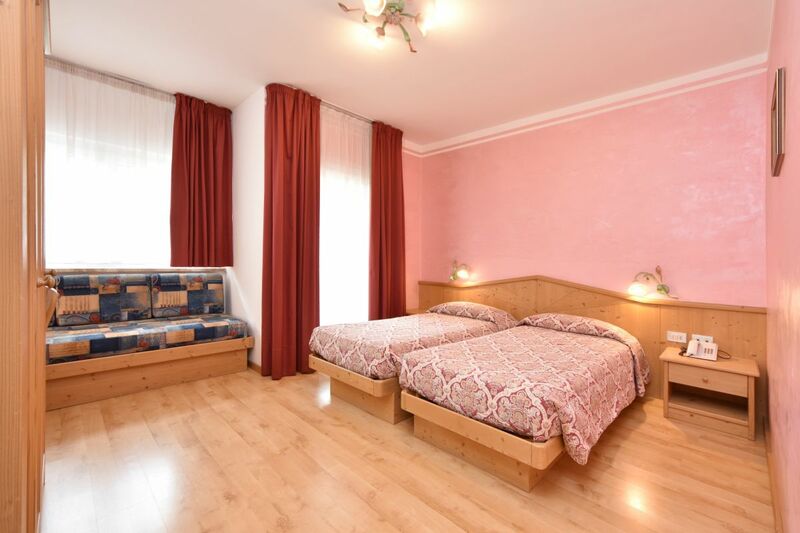 A bright and cheerful room for parents who love to spend time with their children and maintain their privacy at the same time. 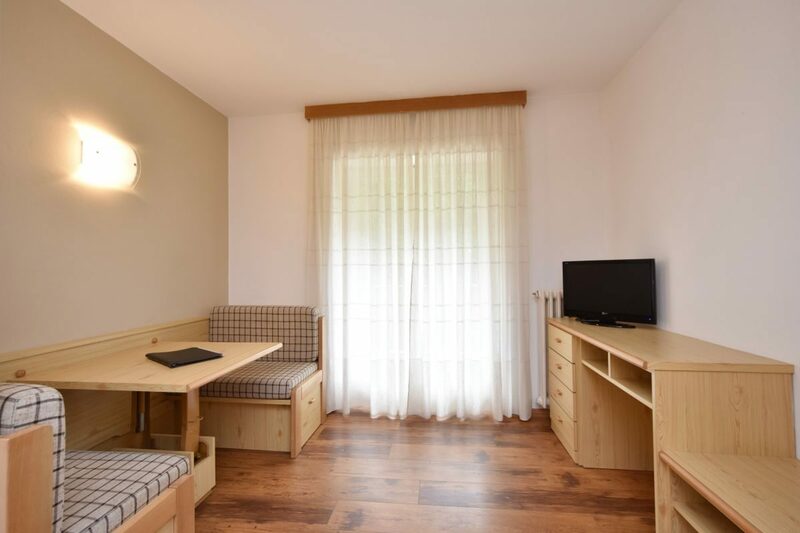 One of the Family suites is suitable for a family of 3 people with the possibility of adding a cot, while the other can sleep up to 5 people in 2 separate areas. 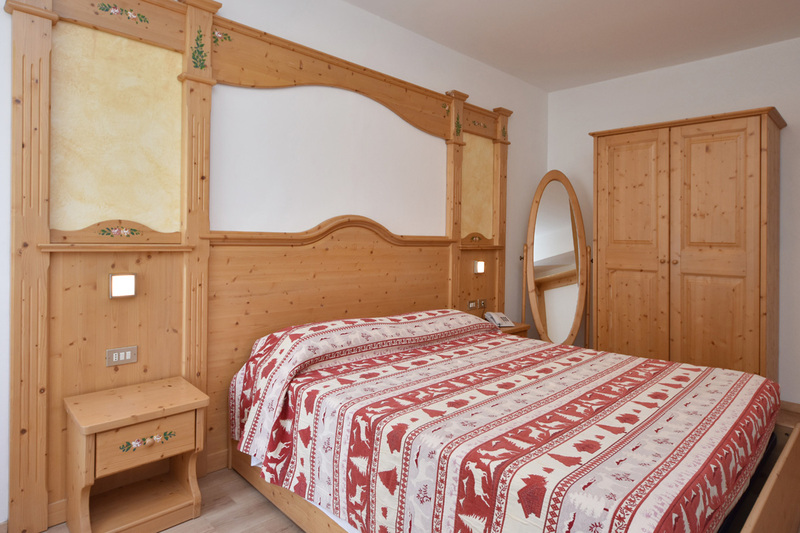 The décor is typical mountain style with hand carved wood finishings and the bathrooms are modern and large. 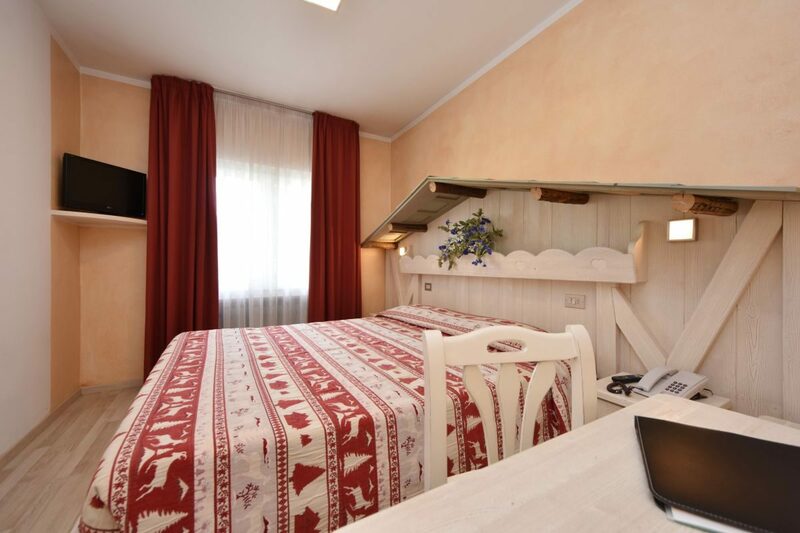 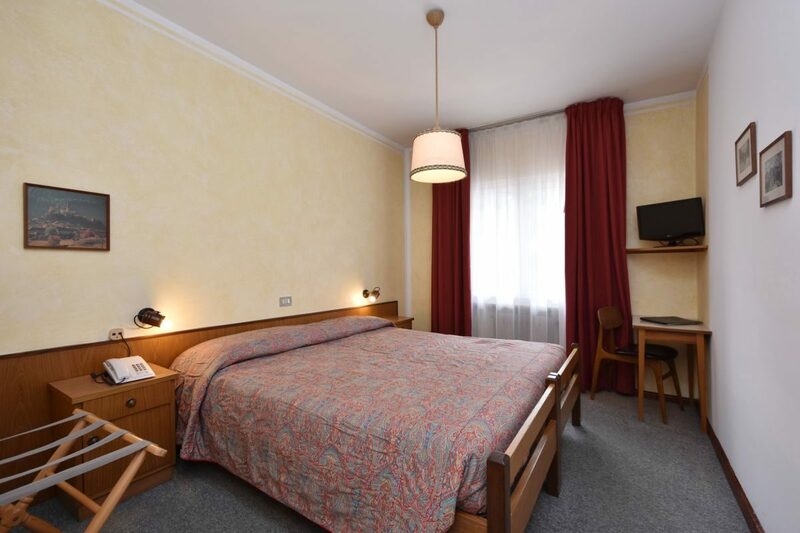 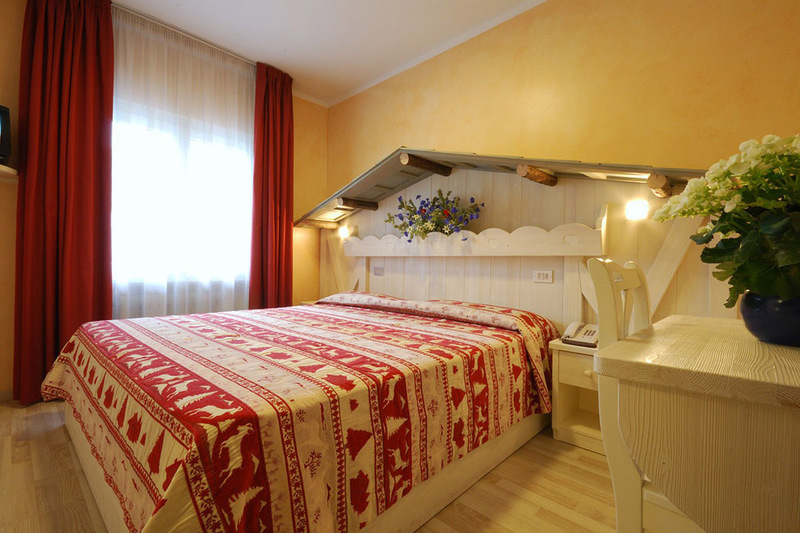 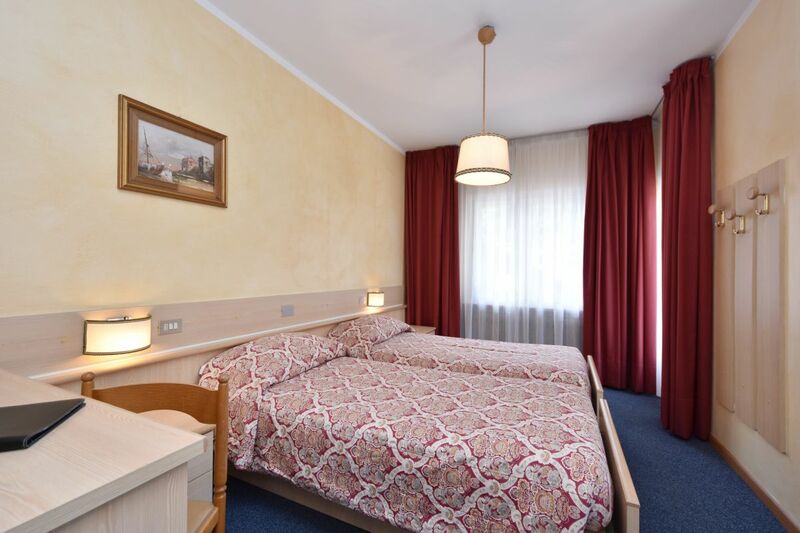 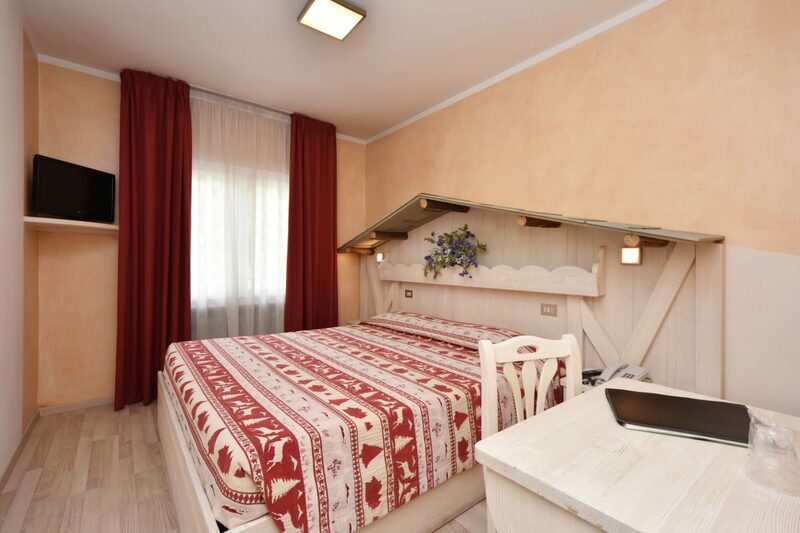 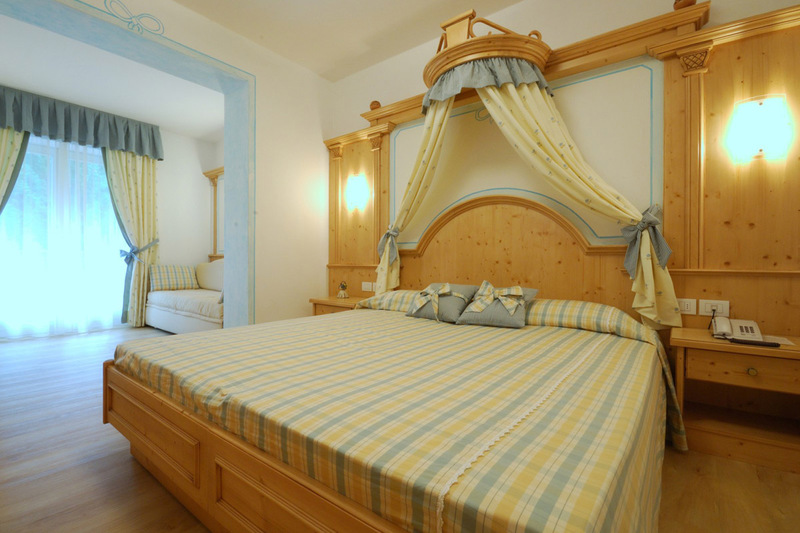 The Junior Suites at the Bellaria Hotel are spacious and comfortable, and no two are the same. 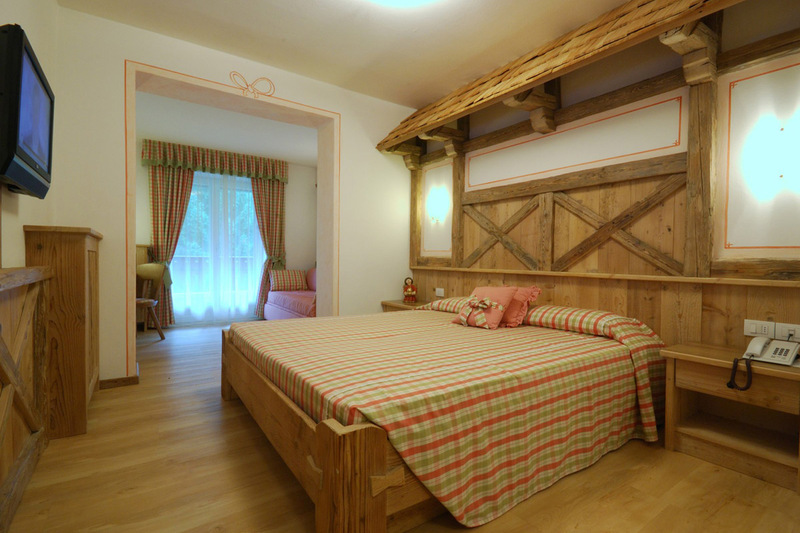 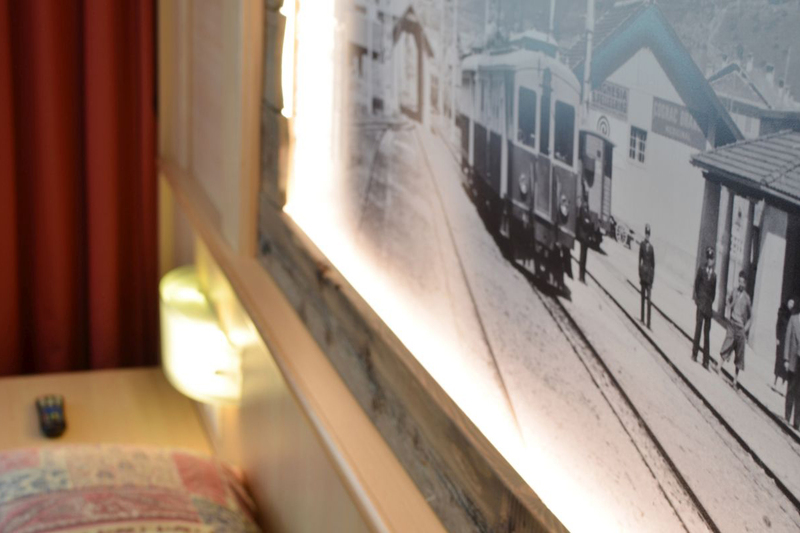 The names of the Suites are taken from our local dialect. 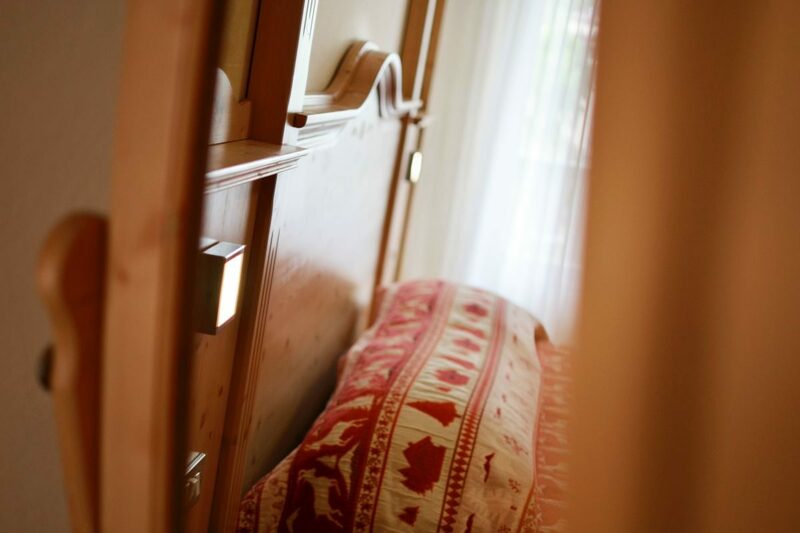 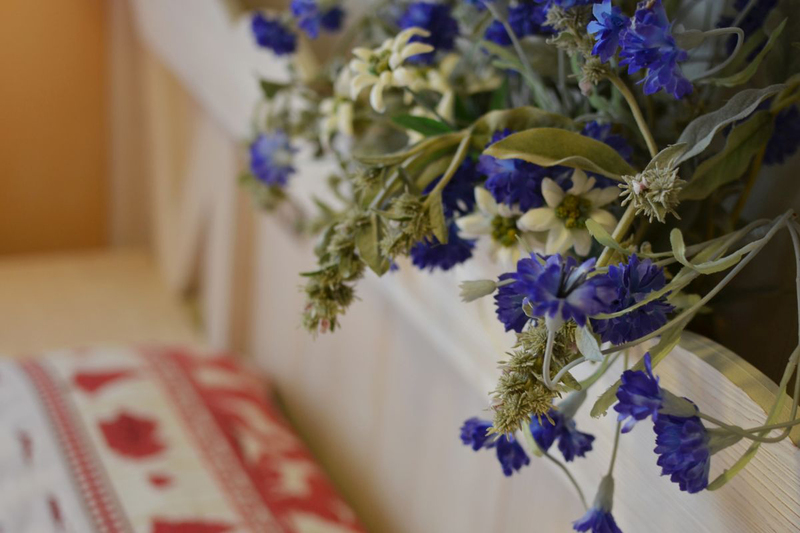 The colour schemes are soft and relaxing, and the fragrance of the ancient fir or pine wood finishings will accompany your stay with a sensory experience of calm and wellbeing. 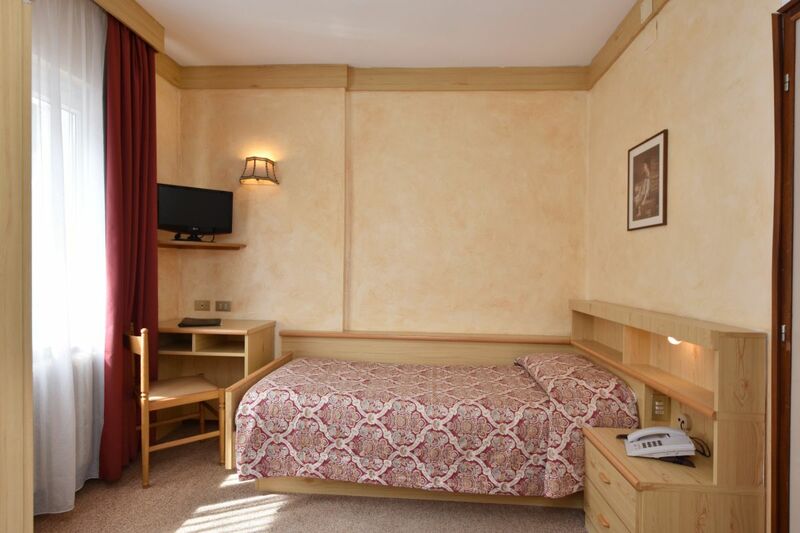 Perfect for couples who enjoy being able to spend time relaxing in their rooms. 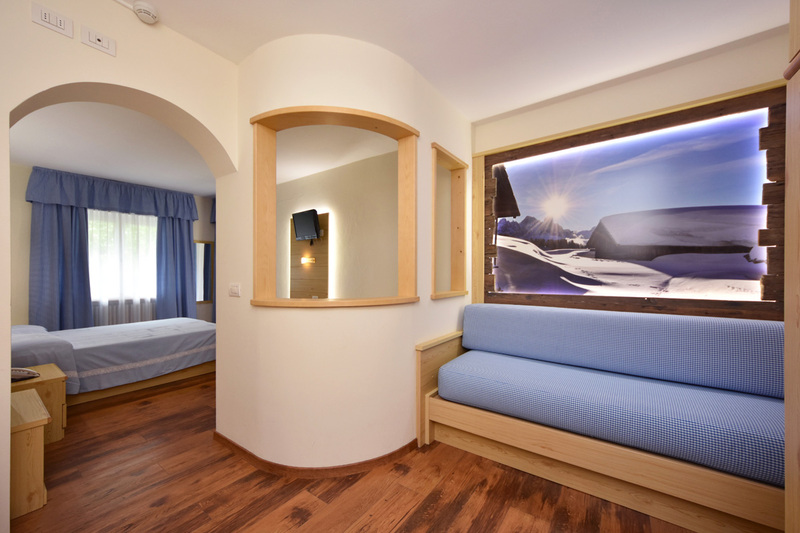 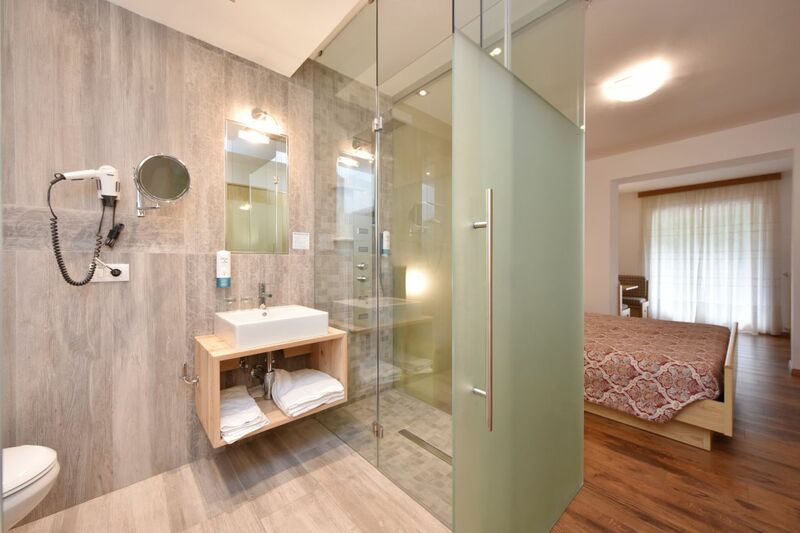 Our Comfort Rooms are the perfect choice for guests who are looking for a comfortable and cosy solution for their holiday. 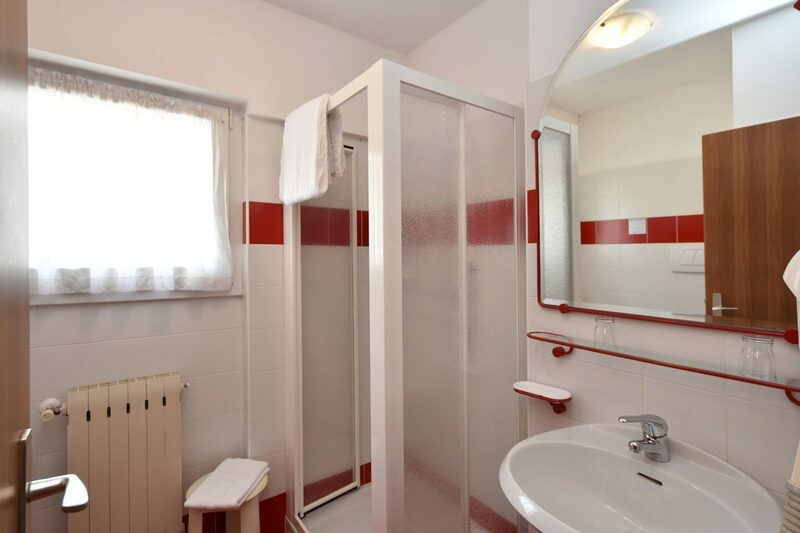 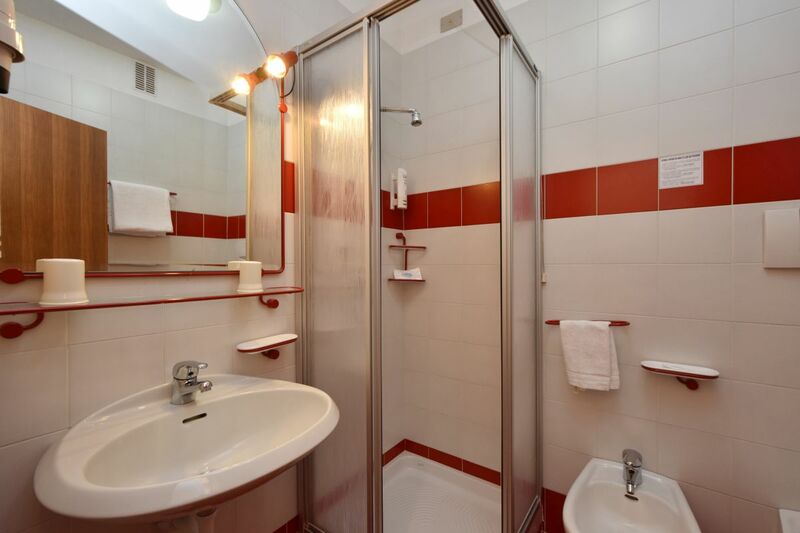 They have all been recently updated with new décor or bathroom renovations including new spacious and modern showers. 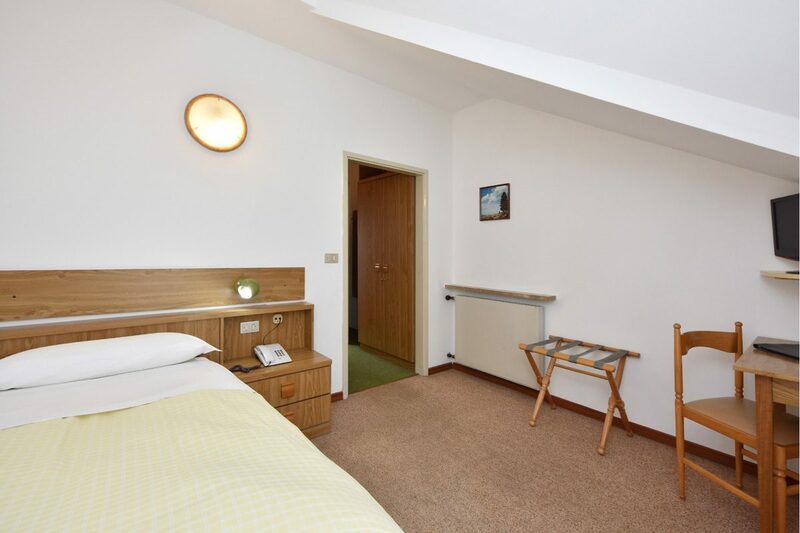 The rooms are spacious and bright, ideal for a couples who enjoy relaxing in their room while on holiday, or for a family of 3. 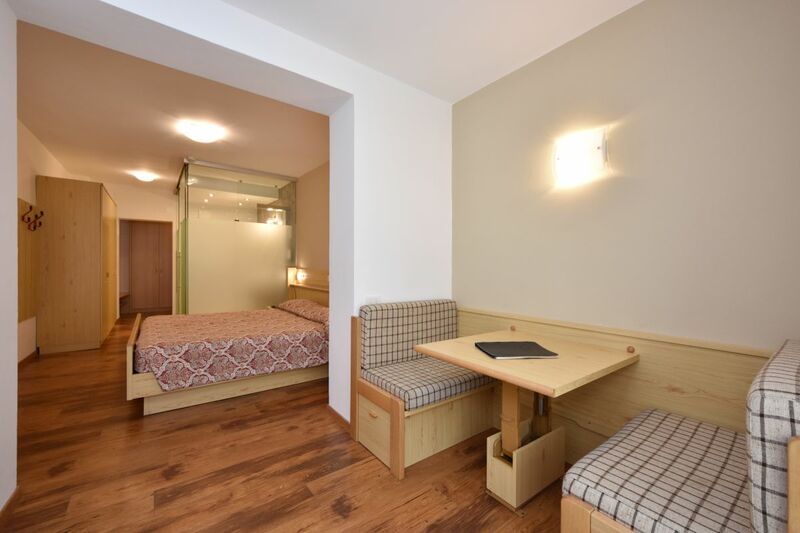 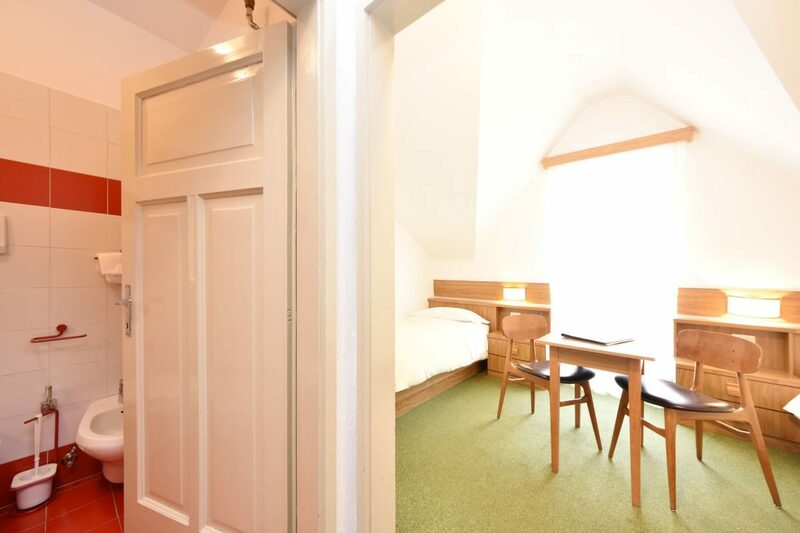 All of our Comfort rooms have a large balcony where you can relax out in the open..
Our standard rooms are simple, homely rooms with traditional décor that can satisfy the most diverse needs and are excellent value for money. 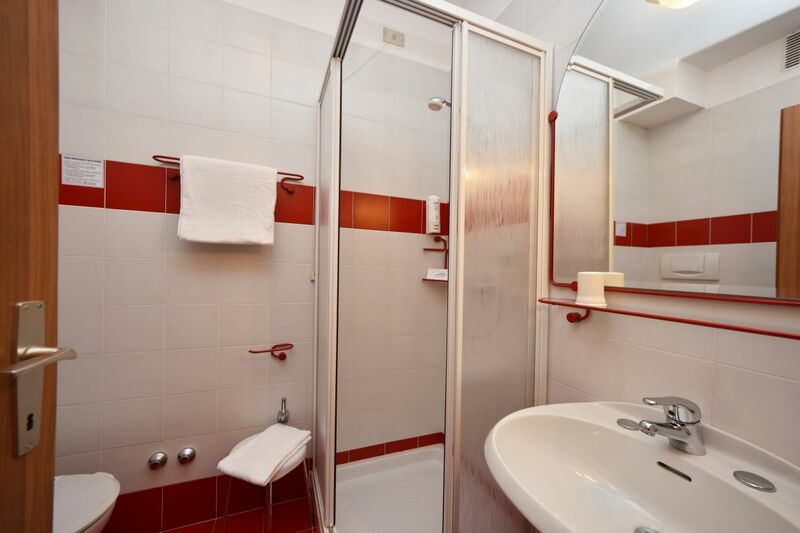 With or without balcony, most of the standard rooms have a shower while some have a bathtub. 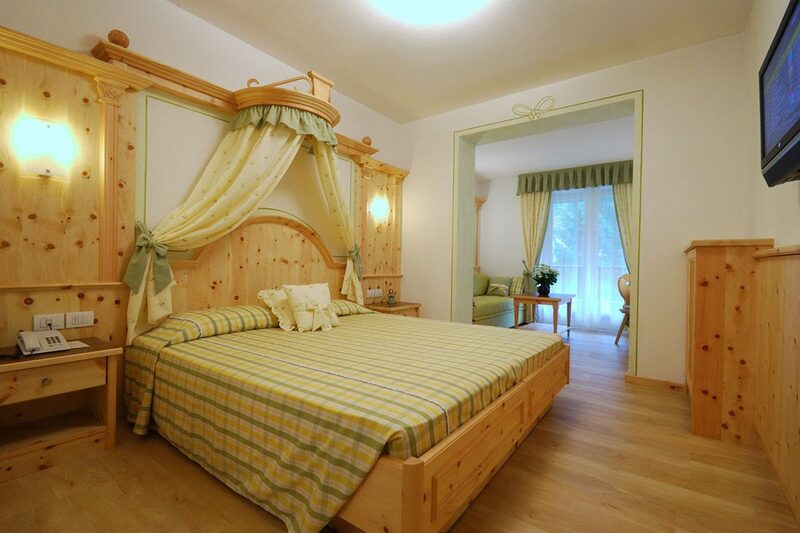 The larger rooms can sleep 4 people. 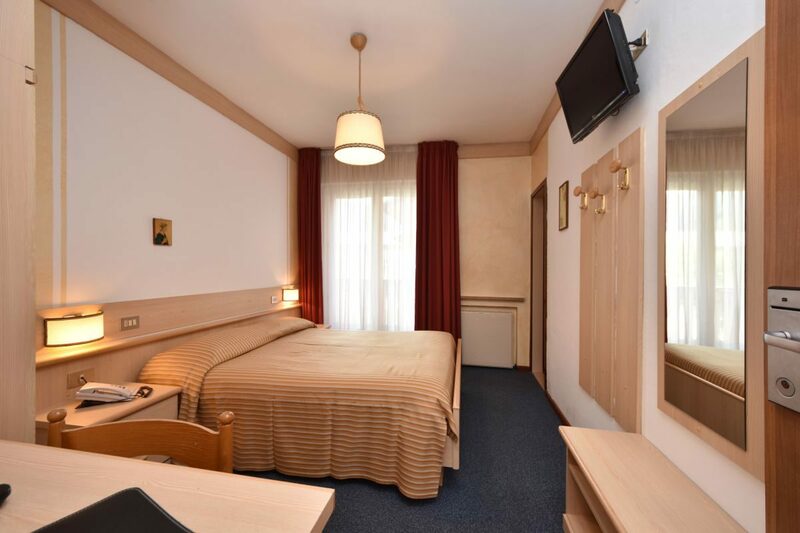 Single rooms with a French bed are also available. 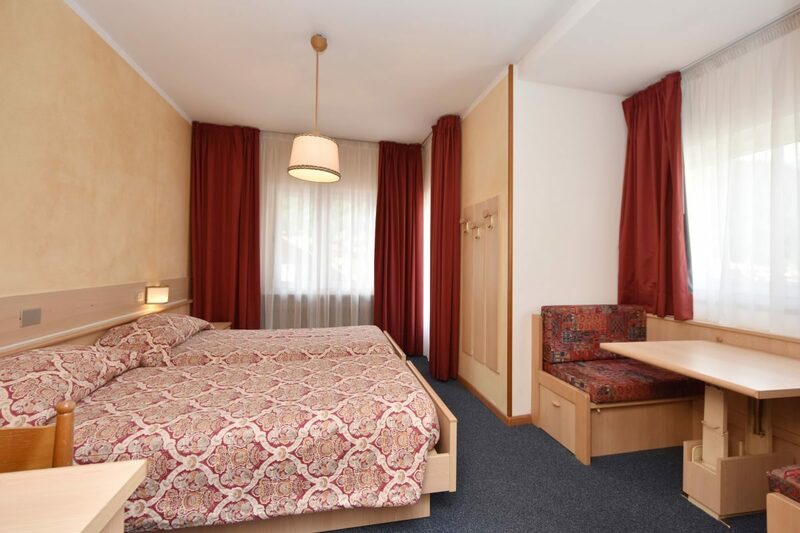 Most of our economy rooms are located on the 3rd floor of the hotel, either single or double with separate beds, and have slanted ceilings and a small balcony that looks out onto our mountains. 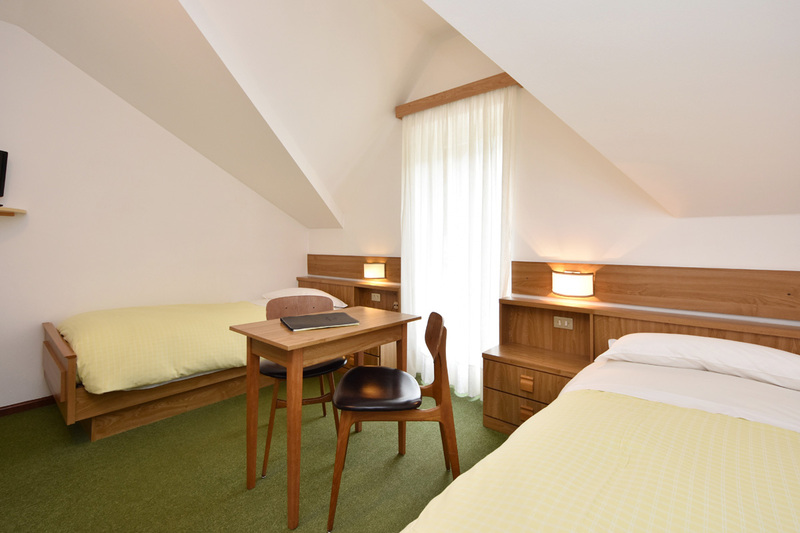 Rooms with double beds are located on the first and second floors. The economy rooms offer the perfect combination of practicality and value for money and are ideal for those who appreciate simplicity. 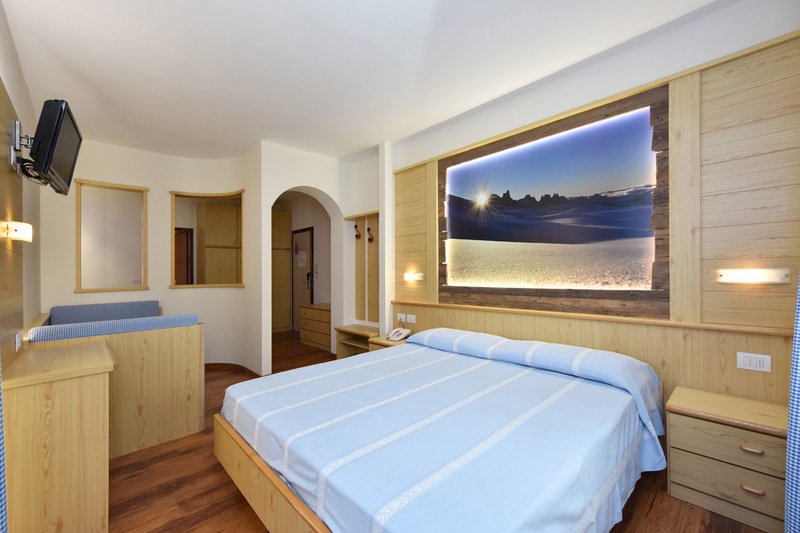 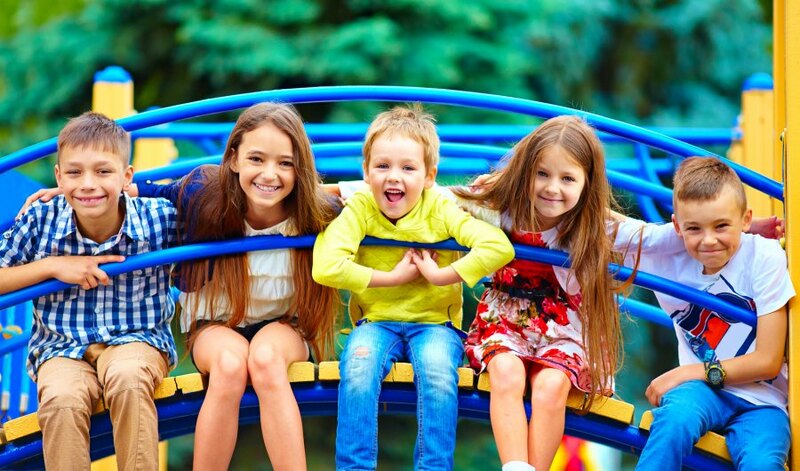 They are particularly popular with our active guests who enjoy hiking and sports. 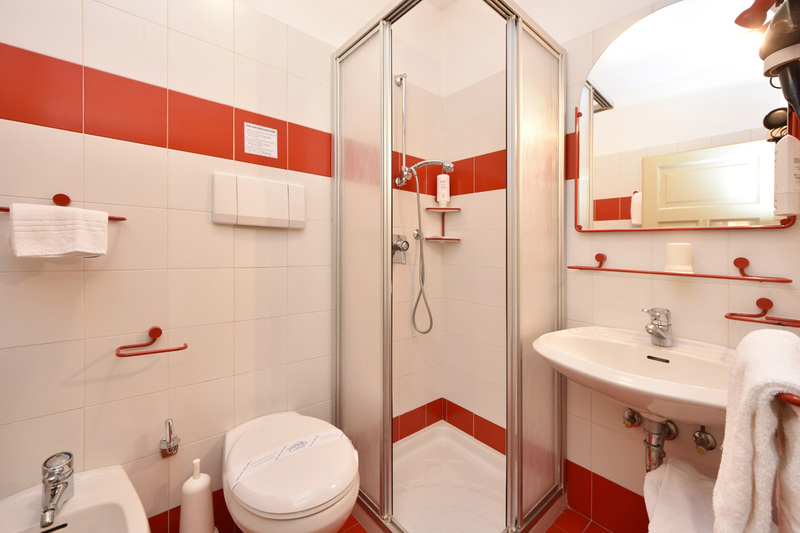 The rooms are decorated with the essentials and some have a bathtub.